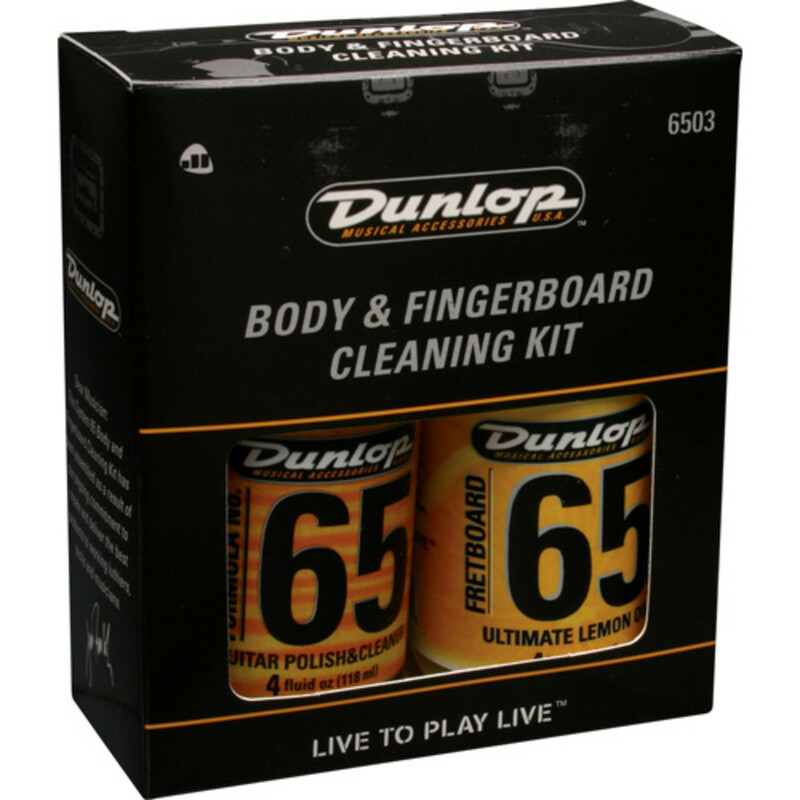 For the first time ever you can get Dunlop's two most popular maintenance products in one box - Fretboard 65 Ultimate Lemon Oil and Formula 65 Polish. Fretboard 65 Ultimate Lemon Oil and Formula 65 Polish are chosen by players and techs worldwide to keep their instruments in top shape, and it seemed only natural to package these two great products together. Fretboard 65 Ultimate Lemon Oil is the perfect complement as it cleans away fingerboard grime and returns your fretboard to its original luster. Both products leave an invisible sealant against stains and moisture. This kit comes complete with two polish cloths (one for each product).